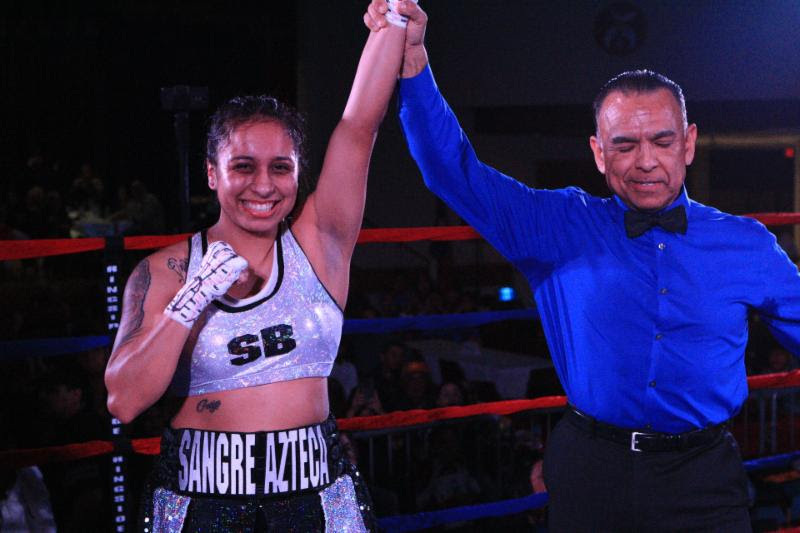 Undefeated female sensation, super-lightweight Selina “Aztec Queen” Barrios (2-0, 1 KO), returns to the ring Thursday, November 2, 2017 in Louisiana at The Rayne Civic Center. Barrios will face the highly touted Zarina Tsoloyeva (Pro Debut) from Zhaksy, Kazakhstan, in a 4-round bout in the super-lightweight division. The card titled “RAYNE RISING” is presented by Bad Chad’s Boxncar Promotions. Selina Barrios is guided by longtime boxing manager, Kerry Daigle, who believes Barrios is one of the most exciting boxers he’s seen in years. Zarina Tsoloyeva, best known for her resemblance to actress Angelina Jolie, won a bronze medal in the Kazakh national championships. She’s a highly accomplished amateur champion with great boxing skills. Tickets to “RAYNE RISING” priced $25 General Admission (Pre-sale), ($30 general admission tickets at the door), $125 VIP Ringside, and $800 1st Row Executive Tables, are on sale now at http://www.boxncar.com/buy-tickets/ or by calling (337) 298-7658.